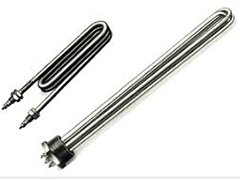 Chhaperia known for its quality has manufactured a number of products like heating element electrical heater for serving the industries reliably and efficiently. Since electrical heaters began to boom, we shifted our focus in designing the heating element electrical heater. Continuous efforts to bring on one product that brings satisfaction to the customers is what made us be the specialized and sophisticated manufacturers of heating elements. High ductility: Tensile stress handling is a crucial property for any heating element to have with. Low-temperature coefficient resistance: Change in resistance for every temperature change is what a heating element has to be capable of. The properties for a heating element electrical heater define the complete behavior of the system, and if any failures noted, then another is replaced. Chhaperia works in the same unit less by taking care of every aspect. One time production is what drives us to be the best producers.